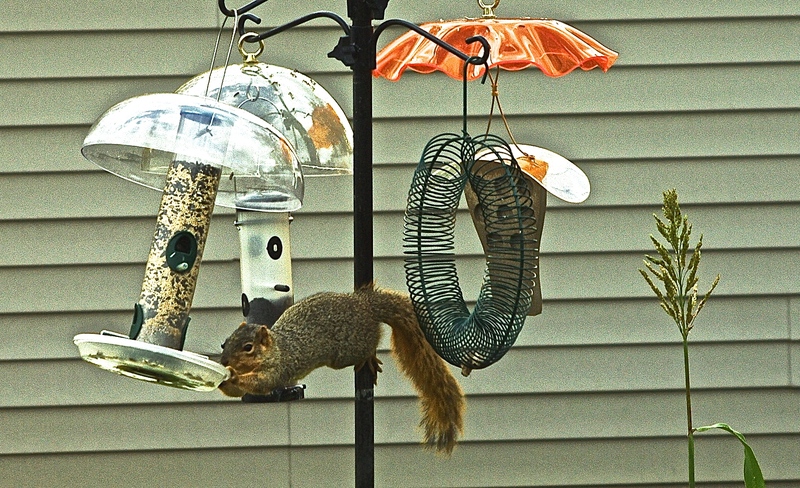 I’ve manage to prevent squirrels from getting to the birdfeeders for three years now. Last week I looked out my window and saw that the little critter finally got past the barrier. ACHIEVEMENT! I know I’m late to respond to this challenge, but better late than never! Choosing a ‘favorite image’ is a daunting task. I have thousands of images to browse through and those images are spread out over two hard drives. So I settled on a favorite fun image, one of many that were taken in our previous abode. 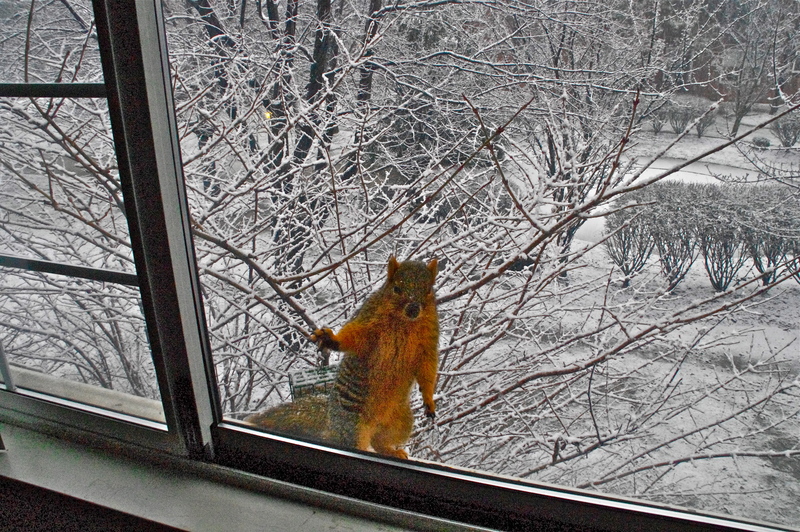 There the squirrels brazenly came to my window ledge every day begging for food. And being the person that I am, I almost always obliged! As you can see, they had no qualms about begging me for more. This little fella appears to be seeking shelter from the cold, winter snows. What do you think? 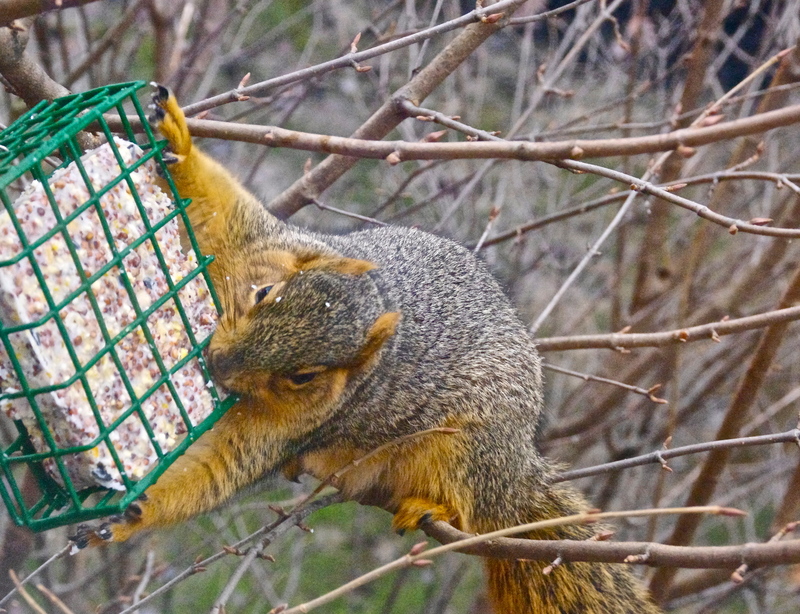 This furry visitor LOVES suet! S/He indulges in the delicacy any and every chance possible. It is funny to watch the birds gather around, perched on nearby branches, watching and waiting for their chance at this food which was originally intended for my feathered friends. 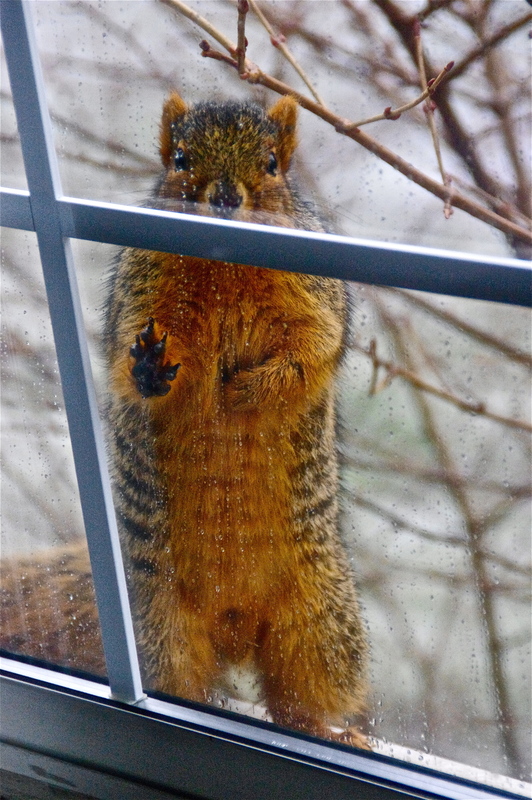 If this squirrel weren’t so cute, I’d be chasing him/her off. But we’ve become friends, so much so that when I open the window to chase him/her away, s/he will jump to the window ledge instead and try to come into the house. One day soon I hope to get a shot of the two of us staring at each other, nose-to-nose, through the window. I know what this squirrel likes to indulge in! What about you? What is your favorite indulgence?